Mostly clear this evening then becoming mostly cloudy after midnight. Low around 55F. Winds S at 5 to 10 mph..
Mostly clear this evening then becoming mostly cloudy after midnight. Low around 55F. Winds S at 5 to 10 mph. SILVER LAKE – City officials were on hand as a new path was opened to the public today along the Ivanhoe Reservoir . The Ivanhoe Path itself is not that long — perhaps about 1,000 feet — and only skirts the west side of the Ivanhoe Reservoir, which sits immediately north of the much larger Silver Lake Reservoir. But it does put walkers, runners and other visitors closer to the water. 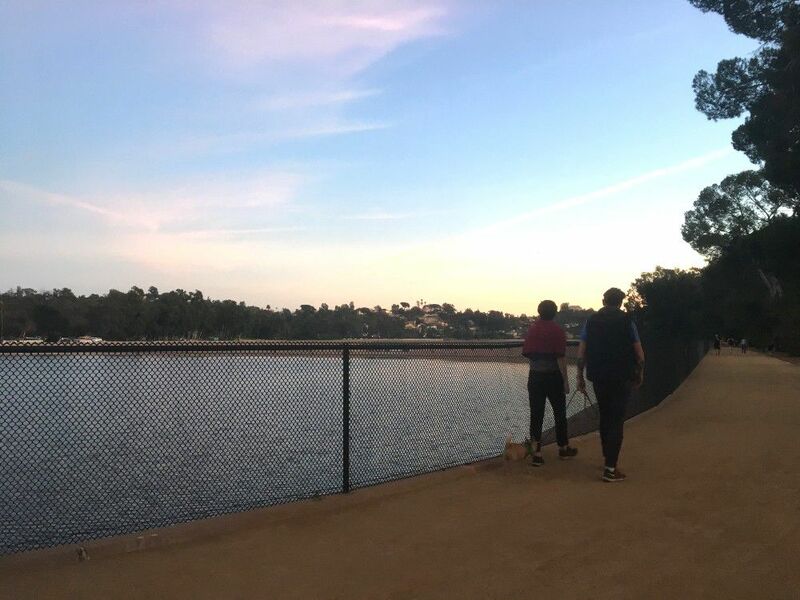 The path opened a year after a walkway opened across the dam on the south side of the Silver Lake Reservoir and as the city begins the process of updating the master plan to guide future uses for the property. 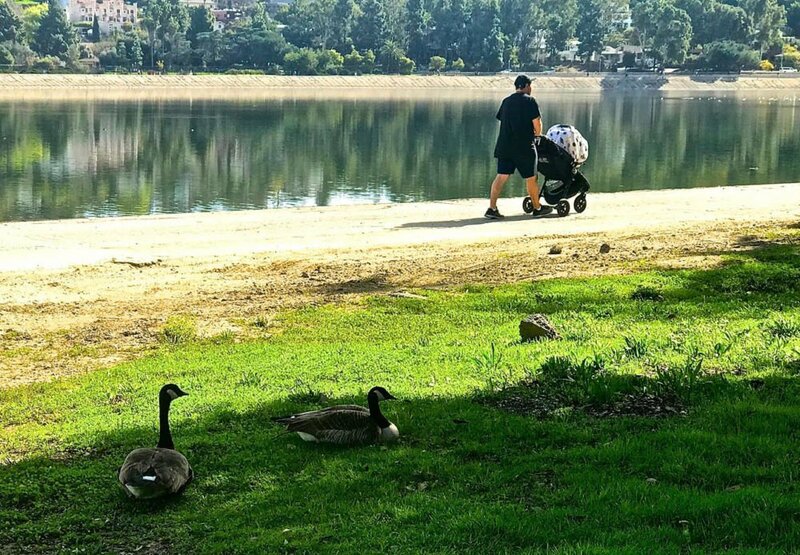 “The Ivanhoe walking path is a welcome resource for this community and a symbol of what we can do when we work together,” Councilmember David Ryu said in a statement. The path, which is located in the 2300 block of West Silver Lake Drive, will be open to the public from dawn to dusk every day. In addition to walking along the new path, visitors were allowed to walk around the edge of both reservoirs that is usually off limits to the public. Thanks to Sandy Driscoll for sharing her photos of today’s event.